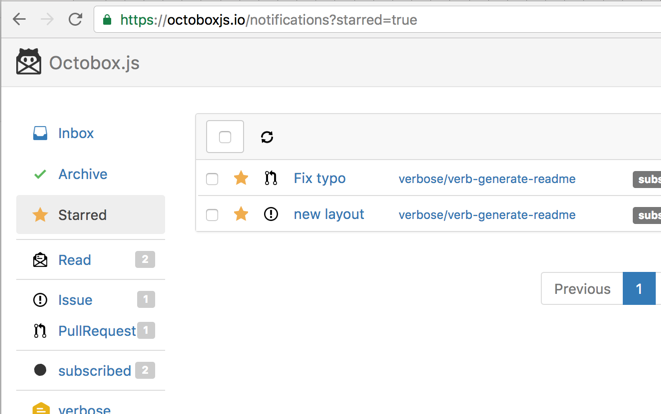 I published a new project last night called octobox.js that's a node.js project using express, handlebars, and sequelize instead of Ruby on Rails and ActiveDirectory. The code can be found on GitHub at https://github.com/doowb/octobox.js and the application is hosted on Heroku at https://octoboxjs.io. I'll be documenting the process that I took to port the application and the libraries that I had to use and/or create to provide similar features to the original Ruby on Rails application.